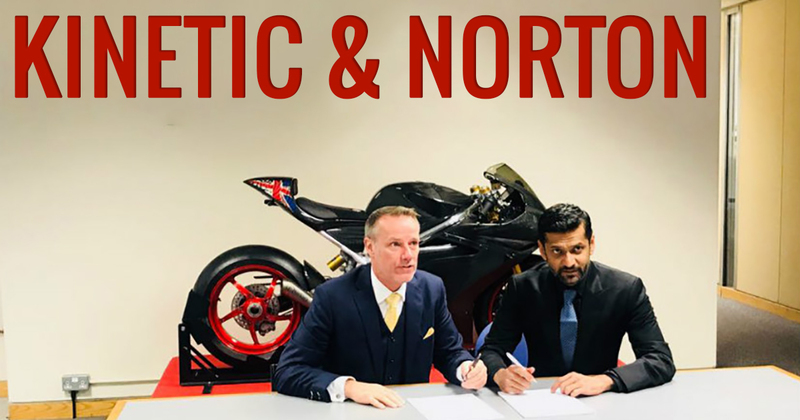 Kinetic and Norton are in a joint venture to spread the reach of Norton brand in India and rest of the Asia and the JV is announced at EICMA 2017. Ajinkya Firodia, MD at Kinetic Engineering mentioned in a statement that the alliance is meant to explore a new brand, Kinetic Norton Motorcycles, which will work on production and selling of motorcycles in India and rest Asia. He further said that a formal public mentioning of JV will be done at a press conference in New Delhi on November 15, 2017. Kinetic Norton Motorcycles will launch Norton Dominator and Norton Commando which will be first motorcycles by the alliance. The motorcycles will come in our land via CBU (completely built unit) route first and later as CKD (completely knocked down) units. Both the motorcycles were unveiled at EICMA 2017 show the same day. Although Mahindra is also working to join the British motorcycle brand, there is no news till now. The Norton Dominator and the Norton Commando are true blue cafe racers and are equipped with a 961 cc air or oil-cooled parallel twin engine along with fuel injection capability. The engine is able to churn out a maximum power of 79 BHP and maximum torque of 90 Nm. The cafe racer is mated to a 5-speed gearbox and the final drive is acquired by an O-ring chain. The Norton Dominator is available with 43mm Black-line Ohlins USD forks at the front and Ohlins TTX 36 mono shock along with a remote reservoir at a rear side. In addition, the Norton Commando is available with identical USD forks at the front and the Ohlins twin shocks with a remote reservoir at the rear end. Twin Brembo 320mm fully-free great carbon stainless steel discs & Brembo 4 piston Monobloc gradually placed calipers up front and mono Brembo 220mm disc & Brembo 2 piston caliper at rear end performs the braking well for the cafe racers.